Nothing beats the exhilarating experience of being drawn into the seat of a luxury high-performance vehicle as it accelerates into high speed. The engine roars as it bursts into hyper-drive, without taking away from the real feeling at the sensation of elegance behind the steering wheel. Now imagine that powerful performance and ultimate luxury in the palm of your hand. The PORSCHE DESIGN HUAWEI Mate RS is the bringing together of a trailblazing technology corporation and world-class design house, Porsche Design – culminating to form the apex of luxury and innovation. The PORSCHE DESIGN HUAWEI Mate RS isn’t a smartphone. It’s a statement. Understanding that today’s elite consumers demand exquisite and premium craftsmanship and a device that can stand the test of time, with best-in-class hardware. 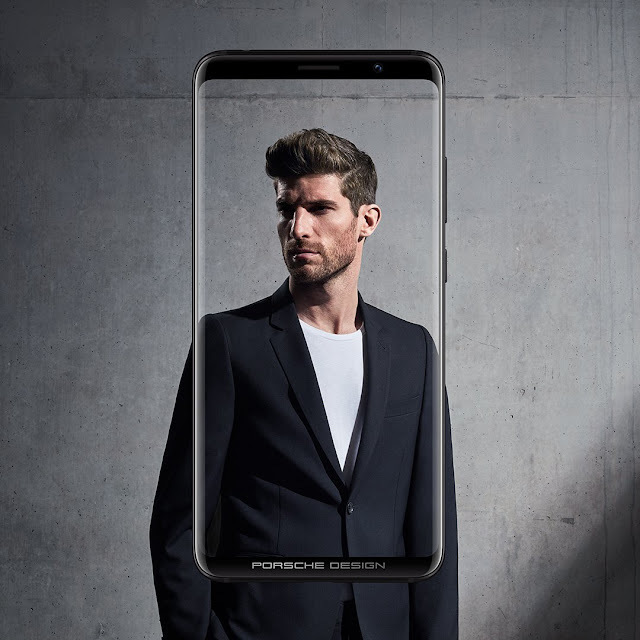 Breaking the boundaries of an ultra-premium smartphone, the PORSCHE DESIGN HUAWEI Mate RS is introduced at the tail-end of the success of the PORSCHE DESIGN HUAWEI Mate 10 Pro – launched in South Africa in 2017. The RS, which stands for “Race Sport”, a designation reserved for cars that embody the best of performance and design, is pursued by all who love racing and exclusivity around the world. The PORSCHE DESIGN HUAWEI Mate RS redefines the standard of high-quality workmanship with streamlined curves and symmetrical surfaces, which allow light and shade change to play on the device’s surface, a true masterpiece of excitement. 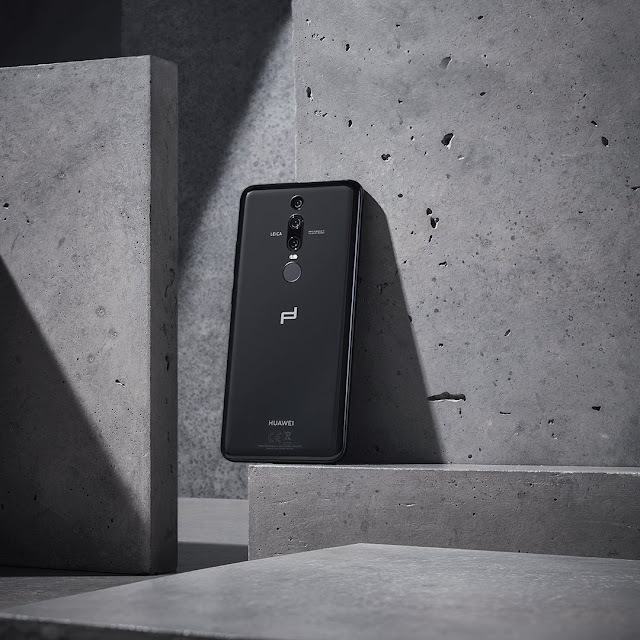 The PORSCHE DESIGN HUAWEI Mate RS features the industry’s most advanced technologies, including the world’s first dual fingerprint design including an on-screen fingerprint sensor and the world’s first Artificial Intelligence (AI) chipset. As Huawei’s peak flagship and luxury device, the PORSCHE DESIGN HUAWEI Mate RS aptly fits into the lifestyle of the high-end user who demands potent performance and efficiency out of their smartphone. Have a business meeting? The PORSCHE DESIGN HUAWEI Mate RS features an enhanced hands-free mode allowing users to simply place the handset on the table to record conference calls. When the directional voice pick-up mode is switched on, the phone can record specific voices from multiple directions, filtering out background noise. After recording, users can choose to replay audio from a single participant or multiple parties on the call. Featuring proportioned look, minimalist feel and a stylish 8-edged 3D curved glass body, the PORSCHE DESIGN HUAWEI Mate RS is available in South Africa in Black, a timeless, bold and sophisticated color. The PORSCHE DESIGN HUAWEI Mate RS features a 6-inch, 18:9 OLED 2K curved screen for the most comfortable hold. The maximized screen viewing area brings users an unparalleled display experience. To power the performance, the PORSCHE DESIGN HUAWEI Mate RS incorporates the world’s first Artificial Intelligence (AI) chipset – the Kirin 970. Breakthroughs in mobile AI allow Huawei’s EMUI system to evolve and learn to better understand the user’s needs, to respond faster to every task. PORSCHE DESIGN HUAWEI Mate RS also features Leica’s triple camera setup with a 40MP RGB sensor, a 20MP monochrome sensor and an 8MP sensor with telephoto lens, while the 5x Hybrid Zoom supports clear viewing at long distances. The breakthrough HUAWEI AIS technology is brilliant in low light while being powered by Master AI, intelligent photography is taken to a new level. Fast-paced days require a powerful charge. The 4000 mAh battery and TÜV Safety Certified HUAWEI SuperCharge with intelligent power saving will meet every need. A whisper quiet, fan-less and wireless quick charging design keeps it cool under pressure. The pioneering in-screen fingerprint design unleashes a revolution in unlocking. Floating your finger wakes up the device and touching to unlock the smartphone is as fast as lightning. The dual fingerprint identification in both front and back are also easy keys to switch separate mobile spaces, a new level of privacy. To top it off, the PORSCHE DESIGN HUAWEI Mate RS is an entertainment powerhouse. Featuring dual super linear system (SLS) speakers with DOLBY ATMOS, setting the PORSCHE DESIGN HUAWEI Mate RS apart from its predecessors and other premium flagship devices. This enables it to have the best immersive surround sound and entertainment experience on-the-go.